The SMOOTH OPERATOR is our modern twist on the classic mid-length, double ender. I’ve become more interested in not only designing and building this genre of board, but also inspired to really learn how to ride them. 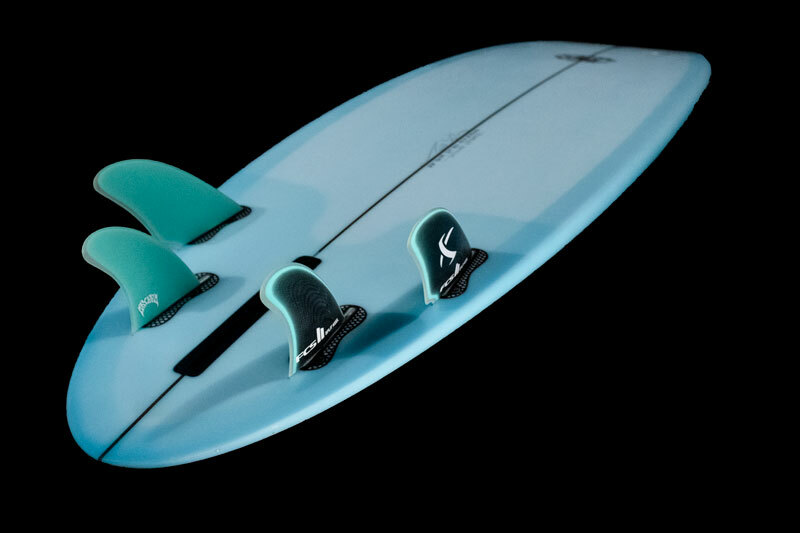 It was sparked by previous dalliances with mid-length, semi-performance boards, like the “Lazy Toy” and “EZ-UP”. 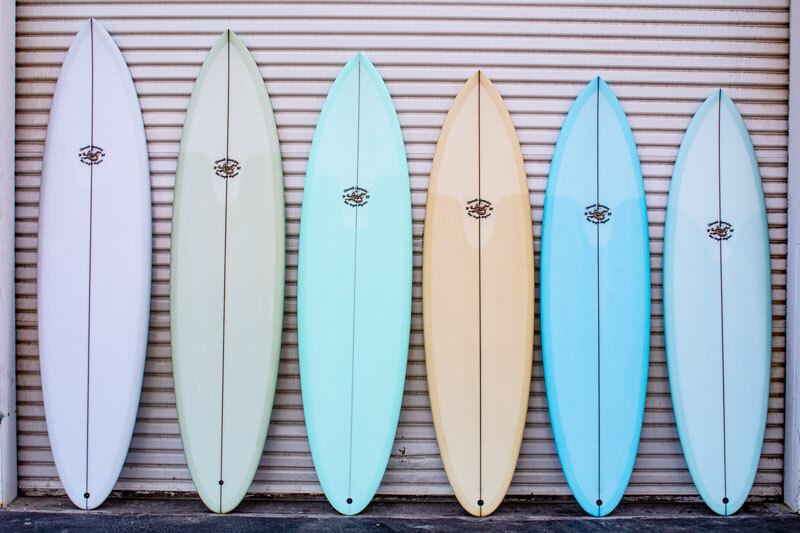 These boards, with their Wayne Lynch/Evolution inspired vee bottoms and rounded noses, were forgiving and easy to ride, but essentially glorified fun boards. More recently, we developed the Crowd Killer, more of an over inflated pump and rip stick, with its hyper extended nose rocker and equally aggressive tail rocker. While high volume and performance minded, the Crowd Killer does not possess the effortless glide and horizontal trim of a classic mid length. The SMOOTH OPERATOR does. 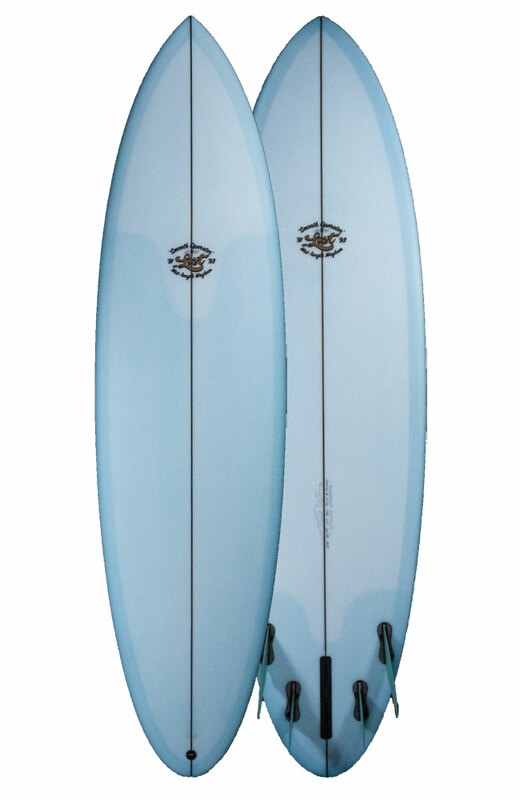 Built around an exaggeratedly low entry rocker, forward wide point and thickness flow, and a nose and tail that measure the same width at both 12” and 24”, the SMOOTH OPERATOR paddles and glides like nothing ever adorned with a …Lost or Mayhem logo. That’s not to say it doesn’t turn though!